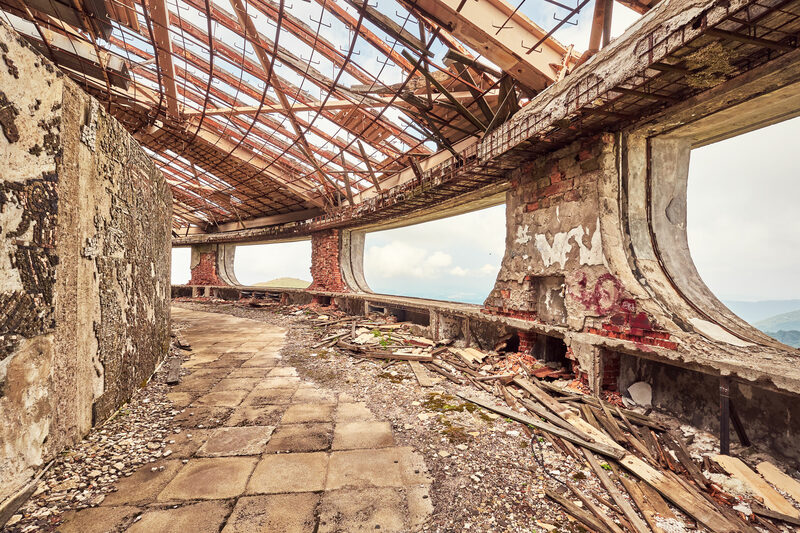 In the six years since I last photographed it Buzludzha monument has fallen further into decay, as this shot of the outer ring illustrates. The mosaics, flooring and windows are much the same (see below), but the roof has all but disintegrated. I don’t think this bodes well for the rest of the building. This was taken in 2010. As you can see, the roof is damaged, but in much better shape than it is now. Although the ring looked better in 2010 than it does now, it’s nothing like it was when the building was opened in 1981. 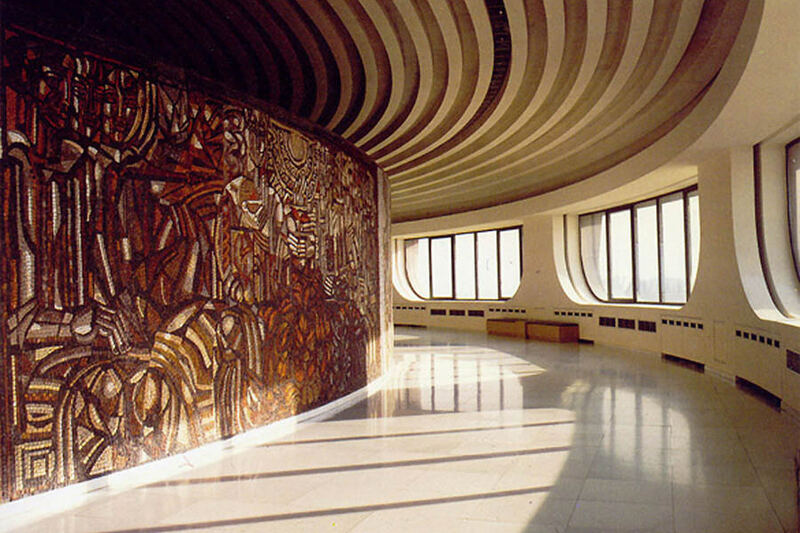 At this point it was part of the interior of the building: stunning mosaics, glazed windows, and marble floors. 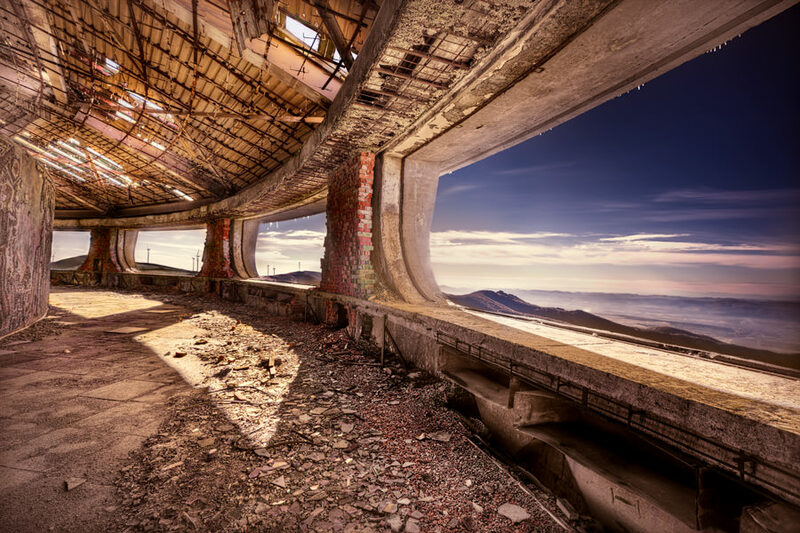 The original interior of Buzludzha's outer 'ring'. I haven't been able to trace the source of the original photograph. 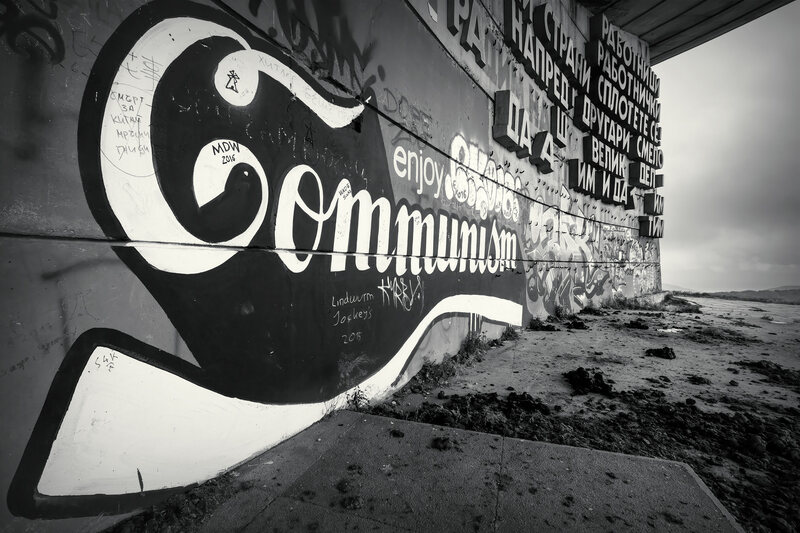 If you’re interested in finding out a bit more about the Buzludzha monument watch the following video from 2014. 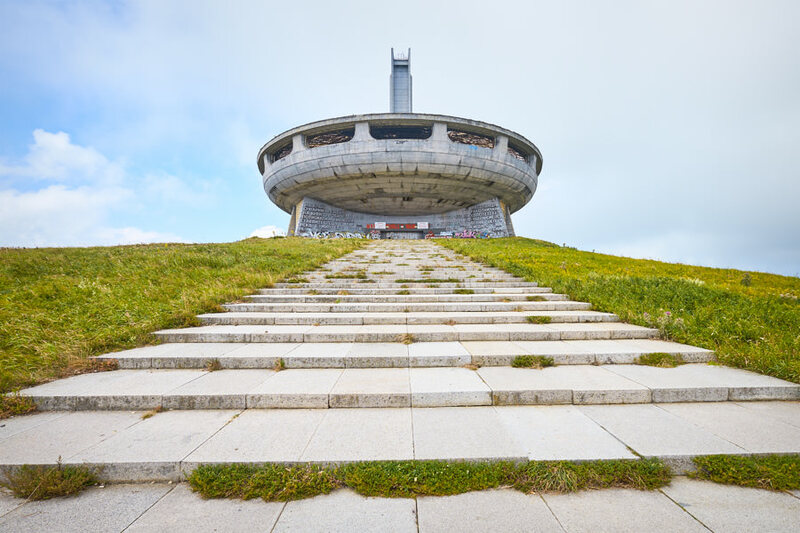 It was produced by Bulgarian Nova TV (with English subtitles), and while the resolution isn’t great it does do a good job of explaining the history of this fascinating building. Such a dramatic change! Great to see this amazing building again through your eyes. It’s a stunning building. I wish I’d had the chance to visit it when it was first opened – it must have been very impressive. Wow Id best arrange a return trip, before it collapses entirely…. Hope you are well old friend. I’m good, thanks. And yes, get back there soon or there won’t be much to see. You can’t get into the building anymore, at least not at the moment, but I don’t think it would be especially safe if you could. The roof is looking very shoddy. It’s a shame – it’s a fabulous building.